Another from the 2008 SP Rookie Threads series. These cards are all serial numbered in different amounts. This particular issue has 15 cards. 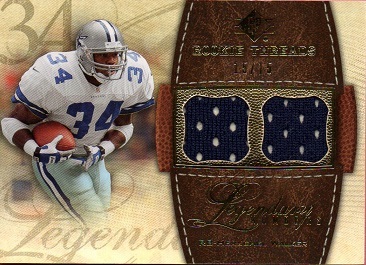 This example is #15 out of 15, which can be seen right above the jersey patch on the front of the card. 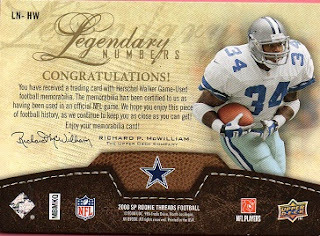 My Herschel Walker card collection is now up to 589 different cards.